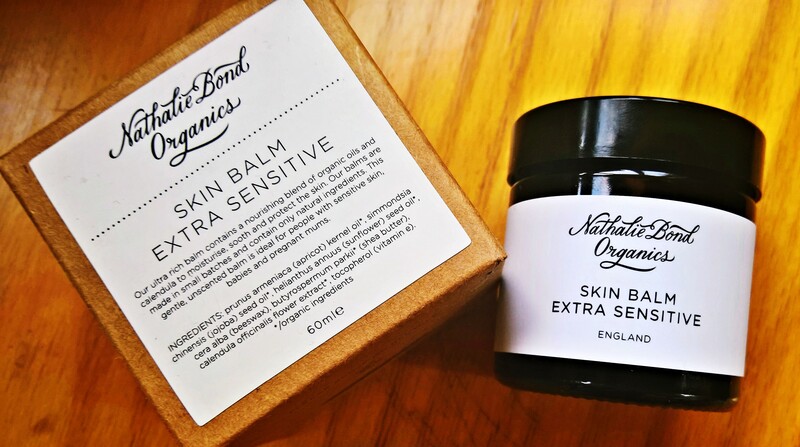 BRIT Brand Nathalie Bond Organics for the most sensitive of skins. I found Nathalie Bond Organics through a Mash PR Christmas in July press event. This brand will be offering special packaged festive gifts for all the family leading up to December. I’ve been using the Skin Balm Extra Sensitive and it’s consistency is more than just an average balm. It’s soft and has a fine consistency that soothes, calms and hydrates all in one go. It’s such a beautiful balm and hand made to order which makes this range extra special. The product above has ingredients of Apricot Kernel and Jojoba oils combined with Calendula infused Sunflower seed oil that soothes and protects the skin. It’s completely unscented so gentle enough to be applied on babies including nappy rash and general use on young children. The beauty of an unscented balm offers the versatility for use on any type of skin condition. The product range is extensive and includes the most fabulous natural soaps in block and liquid that cleanse the hair, face, body, hands and the kitchen sink, essential oil candles, divine body scrubs, lip balm’s for men, women and children… If you’re planing to give a gift to someone you love for a Birthday, Christmas or the birth of a new baby .. Nathalie Bond Organics has everything to help lift the spirits as a gift that’s practical, ethical and offers absolute well being.. This entry was posted in Autumn/ Winter 2016, Babies, Body Care, Brides, Children, Christmas 2016, Cruelty Free, Eco friendly, ethical, Family, Honeymoons, Natural remedies, Sensitive, Skin care, Winter Hols and tagged calming, christmas, Family, friends, gentle, gifts, organic, sensitive, soft. Bookmark the permalink. ← Ethical and sustainable NEW PALMER’S COCONUT OIL FORMULA helps keep you in that holiday frame of mind.